MWC (Mobile World Congress) is the biggest mobile tradeshow of the year, and the next installment - MWC 2019 - has begun. While MWC 2019 officially kicks off in Barcelona on February 25 and runs through to February 28, we've already seen manufacturers making announcements in the days running up to the show. It's already a veritable mobile phone feast! 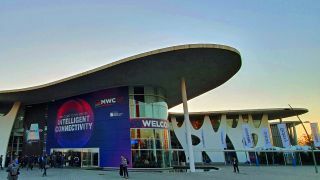 Update: With the show in full swing, our team of experts have had a sweep of practically everything that MWC 2019 has to offer. Which can only mean one thing – it's time to award the best devices on show – it's the TechRadar MWC 2019 Awards! Read on for more information below. So what can you expect? A number of things are now confirmed, such as the foldable Huawei Mate X, a 5G prototype from OnePlus and the arrival of the flagship LG G8, as well as the unveiling of Microsoft's HoloLens 2. We've put together this guide highlighting all things mobile that have, will and might be on show this week, and we'll update it with everything that launches as it happens. – Microsoft HoloLens 2: a new version of the leading mixed reality headset has been revealed, this time featuring a more comfortable design and improved optics that track where your eyes are looking for a more immersive, reactive, augmented reality experience. – Huawei Mate X: the most extravagant phone of the show? We'd say so. Not only does Huawei's crazy flagship have 5G connectivity, but it also comes in the shape of a mad folding design. – LG DualScreen: speaking of mad, LG has revealed a crazy accessory for its new LG V50 ThinQ handset – a clip on clamshell case that also doubles up as an additional, full-sized screen for the phone. – Nokia 9 PureView: we cant get enough of innovation in the smartphone camera space, and the Nokia 9 PureView, with its insane five lens camera array, shows plenty of potential. – Sony Xperia 1: forget foldable phones – Sony thinks the future of the mobile display is with 21:9 ratio screens. Ultralong, they're well suited to watching films, but the jury is out on whether or not it's a useful set up for everyday use. Along with the flagship Xperia 1, Sony has revealed a whole range of 21:9 phones at MWC 2019. With the show in full swing, the TechRadar team locked itself down in its mobile review bunker to crown this year's finest products at MWC 2019. It's a varied and worthy bunch, from the bendy Huawei Mate X to the head-mounted HoloLens 2, showing just how much scope and innovation there is in what's essentially now the convergence of the mobile computing space, as well as the mobile communications one. BMW's virtual co-driver is helpful and charming – so do I have to be rude to it? We know the Huawei P30 and P30 Pro won't launch at MWC 2019 - they have a March 26 date in Paris, France - but the Chinese firm did have something to show us in Barcelona – it's own foldable phone, the Huawei Mate X. Set to take on the Samsung Galaxy Fold with its 8-inch fold out display, we're expecting Huawei's premium device to come in at a more affordable price than Samsung's. That's despite new word that there are features built in that remain a secret, and could be unused to unlock future powers – such as a secret camera. Huawei is calling it 'the world's fastest foldable phone.' Which is a great claim when there are... two commercially available folding phones coming to market. Huawei, you did it! Next up was the 2019 edition of the Huawei MateBook X Pro, pictured directly above. Think of it as Huawei's answer to the MacBook Pro, with powerful internals running its Windows 10 operating system. This was followed by the Huawei MateBook 14. It's almost as powerful as the MateBook X Pro in many respects, but doesn't have quite as snazzy a finish and some of the former's more high-end features. Still, if you're on a budget, it's looking like a smart choice. The LG G8 ThinQ landed at MWC 2019, and while it didn't have quite as flashy a feature-set as the top-of-the-line competition, it's trying some interesting things. First up is Hand ID, a new way to unlock your phone with a wave over the phone's screen as it scans the veins in your palm. It worked only temperamentally during our brief test, but the phone's hole-less vibrating top speaker impressed, as did its innovative video portrait mode. A slightly modified version, the LG G8S ThingQ, drops to a Full HD resolution for a cheaper price tag. LG has also announced its LG V50 5G phone at the event, one with a 4,000mAh battery, a vapor cooling chamber, and a Snapdragon 855 chipset. It's a powerful 5G phone with a twist – it can be paired with the detachable DualScreen case attachment, quite literally adding another optional screen to your device. It's the Pimp My Ride of phones. Xzibit would be proud. We saw lots of Nokia-branded phones at MWC 2018, and MWC 2019 has seen the Finish company prove equally prolific. The highlight of the bunch might is the Nokia 9 PureView – a long-rumored flagship phone that packs five lenses for top-notch photography. However, it wasn’t the only Nokia phone in attendance. Away from the Nokia 9 PureView, it's all about affordability – the Nokia 1 Plus is a budget phone with a removable cover with a textured feel, the Nokia 4.2 is a promising mid-ranger with specs that could be attractive with the right price tag attached, and the Nokia 3.2 has a whopping 4,000mAh battery with what's likely to be a pocket-money asking price. Following a great reception to the 3310 and 8110 nostalgia-fuelled phones, Nokia also committed to a series of new (or should that be old?) retro phones being on the way. Looking for flagship features on a shoestring budget? The Alcatel 3 may be the handset for you this year. It may be running an older version of Android, and doesn't feature flashy features like a fast charging function. But it more than makes up for it with a decent amount of power under the hood, plenty of storage space and one of the more attractive designs we've seen on a budget phone for some time. Definitely keep an eye on this one if you're short on cash when it launches soon. If you're after something a bit larger, try the Alcatel 3L 2019 edition. It's got a large and bright screen nearly 6-inches in size. And while it's running an older version of Android, it's cool to see a phone with a dual-rear camera coming in at a suggested budget price. The Honor 20 so far hasn't proved to be ready in time for MWC – unsurprising, given that the Honor 10 didn’t land until May last year, long after MWC 2018. But you never know what surprises could still yet arise at MWC 2019, and there’s a good chance the company will have something to show. Then again, the Honor View 20 only recently landed, so Honor might keep things quiet at MWC. Or it might not. Or it might. Stop teasing us, Honor! Having reduced its smartphone output during 2018, HTC's key product at MWC 2019 (aside form showing off its continued VR support with the HTC Vive Cosmos) was a smart-sounding HTC 5G Hub. It's designed to replace your regular home or office router, instead pulling in the super-speedy 5G mobile signal to feed your devices with data. A 5-inch HD screen should keep you up to date with what's connected and current connectivity speeds, with a number of global partners already signed up to support the hub with data plans. HTC has confirmed that new handsets are on the way, some of which should arrive in early 2019, but so far it's been quiet on the smartphone front from the brand at MWC. Still, there's stuff we're expecting to look forward to later this year. One handset that’s apparently on the way is an updated version of the mid-range HTC U12 Life, with 6GB of RAM and 128GB of storage, and we wouldn’t count on seeing an HTC U13, or whatever the company’s next flagship is called. Lenovo is primarily a laptop company – it is its subsidiary company, Motorola, which has the most to say at the mobile-focussed Mobile World Congress show. But that's not to say it didn't have a few Lenovo-branded goodies to share at MWC 2019. First up is its return to the audio space with new headphones — the Lenovo ThinkPad X1 ANC and Lenovo Yoga ANC. They're expected to go on sale around June and July, respectively, and will compete with the Microsoft Surface Headphones. On-ear headphones, they use both traditional active noise-cancellation (ANC) and something called electronic noise-cancellation (ENC) that’s used on the microphone to block out ambient noise for call taking. It also revealed a whole host of laptops, naturally. The latest line of premium ThinkPad T and X laptops will include the T490s, T490, T590, X390 and X390 Yoga, each set to nail different user's mobile computing needs. Lenovo has also teased its first 5G laptop, which would make use of the Qualcomm Snapdragon 8cx chip. While the Moto G7 range has only just landed, we might get something even more exciting at MWC2019, namely a foldable Motorola Razr V4. It's rumored to launch in February, so MWC would be an obvious venue. Other than it being able to fold we don't know much about the Razr V4 yet, though it's expected to be very expensive. At the very least, Motorola's Dan Dery, VP of Global Product, has confirmed the company is indeed working on some sort of foldable device. While the OnePlus 7 is unlikely to launch until mid-2019, we might see the beginning of a new range from the company at MWC 2019. We don’t know much else about the handset, but apparently OnePlus has chosen to launch it separately from the OnePlus 7 as the addition of 5G could push the price up beyond what it typically charges. In other words, this phone might not be as much of a bargain as the company’s main flagship range. Oppo hasn't launched a smartphone at MWC 2019. Rather it's confirmed it will launch a 5G phone in the future, and it showed off a new camera technology. During its "Innovation Event" on February 23 in Barcelona, Spain, we saw Oppo's new smartphone camera that features a 10x lossless zoom. The technology utilizes three camera modules with a main camera, which weighs in at 48 megapixel for capturing everyday images, while a second 16mm, 120-degree wide-angle lens is designed to take in more of whatever you're trying to shoot. The third, and final, snapper is a telephoto lens with a focal length of 160mm. What was extra intriguing however was an alleged 'leak' of an Oppo concept phone, featuring this year's hottest technology – a foldable screen. Could this be something we'll see in the future from Oppo? Samsung is set for a surprisingly quiet MWC, as it announced the Galaxy S10, Galaxy S10 Plus, Galaxy S10e, Galaxy Fold, Galaxy Watch Active, Galaxy Fit and Galaxy Fit E ahead of time on February 20. Samsung did however use MWC 2019 as a platform to launch a refreshed line-up of its mid-range A series of devices. The Samsung Galaxy A50 is the pick of the bunch, while the Samsung Galaxy A30 is promising too, with its vibrant Super AMOLED screen, large battery and responsive user interface (even if its camera effects are a little bit unreliable). There's still an outside chance of a tablet too (although it only launched the Galaxy Tab S5e a few weeks ago) - but don't hold your breath for either of these. Sony often announces one or more new phones at MWC and it treated us to a bevvy of new devices at this year's showcase. The flagship Sony 'Xperience' this year will be for those that pick up the new Sony Xperia 1. Unlike the competition, Sony is banking on long, 21:9 screens being the next big thing, and sees the Xperia 1 influencing the entire range in this respect with its 4K OLED display. It's running on the Qualcomm 855 chipset, has 6GB of RAM and supports microSD storage expansion up to 512GB. Similarly interesting was the Sony Xperia 10 Plus. Tall and thin with lots of storage space, it too opts for an unusual 21:9 screen ratio, making it a bit like a candybar in the hand. The Sony Xperia 10 is a similar-looking phone, though its spec sheet is dialled back a bit. This new line of long handsets should be great for watching films on, given that 21:9 is the standard aspect ratio for most films. But we'll have to wait to see how far general app support...ahem...stretches for the phones. If you're on a tighter budget, and aren't in the market for a super widescreen phone, check out the Sony Xperia L3. With a more straightforward design and 720p screen, it's got a few key upgrades over Sony's 2018 budget offering. As for 5G, Sony said it would eventually make a phone supporting the speedy wireless data technology – but not before its infrastructure roll out was widespread. Vivo showed off the Vivo Apex Concept at MWC 2018. This was a prototype device with an in-screen fingerprint scanner (before this tech became mainstream) and a pop-up selfie camera, leading to an almost completely bezel-free screen. You couldn’t buy it, but the similar Vivo Nex launched later in the year. It’s entirely possible that Vivo will have another prototype device ready to show at MWC 2019, though what that might be is still unclear. The company is launching the V15 Pro soon, a phone which has a 32MP pop-up selfie camera, though this landed on February 20, which is a few days before MWC kicked off. Xiaomi has officially started selling products in the UK at the end of 2018. It's been established in other parts of Europe for a while, and at MWC 2019 we found out that it is bringing the Xiaomi Mi 9 to western markets. It features a 48MP main camera with a uniquely curved backplate and is up for pre-order immediately at €449 (which converts to around $500, £390, AU$715). Xiaomi is known for delivering great value handsets, including flagships that massively undercut most rivals, so it might launch some bargains. One of those cut-price deals might be a foldable phone, as it's working on one of its own. A lot can change in a year. ZTE's temporary death sentence by the US government took the company off the map last year, but it's making a comeback at MWC 2019. Enter the ZTE Axon 10 Pro 5G, the company's first 5G smartphone, promising speeds close to 2Gbps one day in the future. There were two versions of the new Axon 10 Pro available, one more-ready version with 5G and one slightly thicker version with millimeter wave. We hadn't heard much from Nubia until recently, but we now know the company is cooking up something for MWC, and based on a teaser that reads "flex your life" we're assuming it's a foldable phone. Nothing else is known about the handset yet though, so stay tuned for more information. – If you're not interested in phones, the new Microsoft HoloLens 2, the second generation of the Windows' company's mixed-reality headset, is likely the star of the show. It now has a screen that has eye-tracking technology built in, with a more lightweight, comfortable design thrown into the mix, too. It's still primarily designed for enterprise users, however. – Microsoft also showed off the Azure Kinect Developer Kit, a single device that puts all of the company's high-end sensors into one unit. It builds on the technology the company worked into its Kinect sensor for the Xbox One, with Microsoft hoping it will inspire the development of new AR and VR apps. – Archos keeps a lower profile than it did in the early days of the Android smartphone boom, but it too had a presence at MWC with the Archos Diamond. It's big at 6.39-inches, and its AMOLED display is a cut above what we'd expect at the price bracket. – You may not remember, but Samsung and Huawei aren't actually the first companies to reveal flexible phones. That accolade goes to Royole with the Royle Flex Pai. We spent some time with an improved version of the work-in-progress handset to see if it has what it takes to cut it with its new-and-improved competition. – There aren't too many wearables at MWC 2019, but there was at least one very interesting device in the shape of the Nubia Alpha. Wrapping around half of your wrist with its OLED screen, it can do all the major things that your smartphone can, in an innovative and intriguing form factor. – The name Energizer may first make you think of bunnies and batteries, but the company has been quietly working on two innovative-if-strange mobile phones in time for MWC 2019. There's a sorta-dual-screen phone in the shape of the Energizer Power Max 8100S, and then the chunkiest smartphone we've ever seen, the Energizer Power Max 18K Pop, which has a frankly ridiculous 18,000mAh battery squeezed in. – Need more storage for your phone? We're about to enter the era of the 1TB microSD card, with new capacious cards being launched at MWC. That's a lot of selfies. – Google Assistant is getting deeper integration into Android messages, as well as a host of other improvements. – Android is now more secure than ever too, with all devices running Android 7.0 or higher now FIDO2 certified. – Ericsson has talked up its 5G capabilities for businesses, stating that its customers will get ahead of the pack and become leaders in 5G markets if they sign up to its services. – Google is looking to take advantage of 5G services, stating that its Google Fi customers will get access to 5G technologies through the Sprint network in the US. – The 5G revolution isn't all about phones, though. In the car, it'll let you pull in multiple 4K streams from the web to any number of screens you have as part of a 5G in-car entertainment system. – Interaction with your car is set to become more natural too – BMW revealed a new in-car dashboard system that maps the cockpit in 3D space, letting you point at things outside the windscreen that you want information on, as well as having the ability to talk to an in-car digital assistant. – Under pressure relating to international spying allegations, Huawei has stated that it won't be bullied into creating backdoors for the Chinese government.